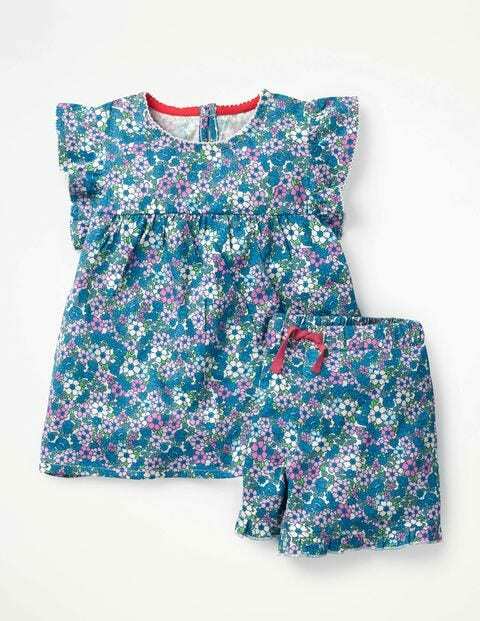 We've gathered together all things nice to ensure these jersey pyjamas take first place at the PJ party. All of the trimmings have been invited, from ruffled hems and fluttery sleeves to an all-over print. The shorts have a comfy elasticated tie waistband and the neckline is finished with a contrasting trim. Who's for a midnight feast?